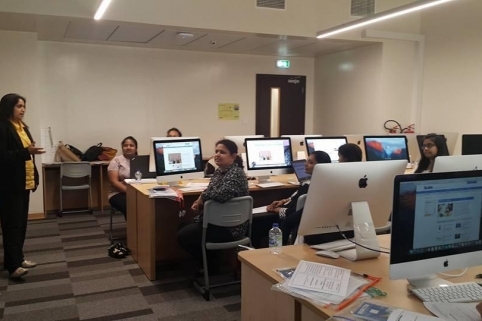 Teachers in the United Arab Emirates are participating in iEARN projects that promote cross-cultural dialogue and civic education. iEARN is working closely with the Ministry of Education to train teachers in project-based teaching methodologies. On May 8th 2016, iEARN-UAE hosted an iEARN BRIDGE workshop at GEMS New Millennium School in Dubai. Eight teachers from the school joined the workshop and were introduced to the International Education and Resource Network (iEARN).